When it comes time to remodel your home or business, chances are that lighting renovations have popped up in conversation. Many people prefer not to do lighting upgrades, yet the lighting of your home can make or break the visual value it holds. Why put in new flooring and paint when you can’t even see it? As a go-to lighting company in Shelby, the Shelby Design Center is here to help you with every aspect of your home lighting. With Lighting One and Carpet One Floor cooperatives, we are able to deliver the best products at the best prices. 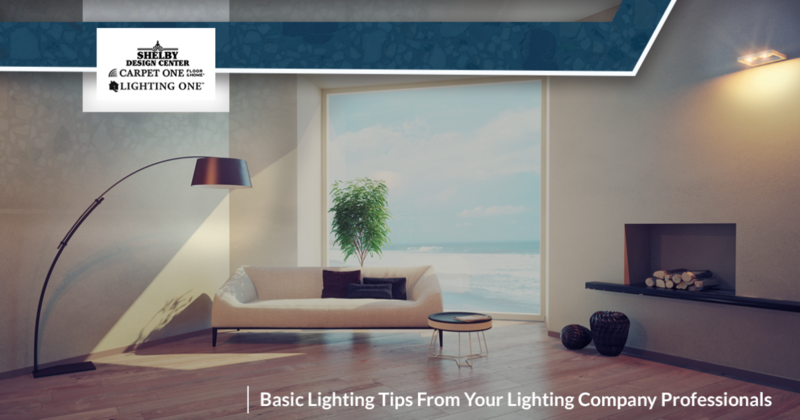 Today, we’ll look at a few basic tips that can help illuminate the beauty of your home. Modern lighting comes in a wide variety of shapes and styles to provide an ideal fit for your unique living space. With the Shelby Design Center’s help, you can turn your dream living space into reality! Ambient Lighting – Also referred to as general lighting, this type involves a majority of the light fixtures in your home, including flush and semi-flush mounts, recessed cans, and more. Task Lighting – As the name implies, this style is used to complete any tasks you take on in your home, including lamps and lighting for reading, writing, cooking, and so on. Accent Lighting – Used primarily to accent stylish features in your home, accent lighting adds interest and flare to any space. Successfully illuminating your home depends on how good of a job you do in layering and utilizing a variety lighting types. The key to success may rely on your ability to mix and match different lighting elements to create depth in your home. Another aspect of balancing the many retail lighting options we offer is changing the overall brightness of different rooms in order to avoid issues. Lighting fatigue, or over illumination, is an actual problem because it leads to fatigue, trouble focusing, and headaches. When you are installing your quality lighting products from Lighting One, be mindful of the overall level of light being emitted from your various sources. People often under-appreciate the value that dimmer switches can bring into your home. These handy devices are perfect for giving residents the ability to set the perfect amount of light they want. This can come in handy for many scenarios, all while saving you in energy costs. Dimmers are also helpful for extending the life expectancy of your light bulbs, saving more money. The overall aesthetic quality of your home’s rooms can rely heavily on the proportions of objects residing within. Oftentimes, eager homeowners will go to their local lighting showroom to find a fixture that they love. Once it’s home and installed, they quickly realize that their choice is either far too large or small for the space, disrupting the overall balance of the room. Framing your kitchen island or dining room table correctly can make or break the overall appearance. Some consumers will visit the lighting store without much concern for the size, space, or current style of their home. Be sure to bring in measurements and even photos when convenient to give yourself the best chances for finding the perfect products. 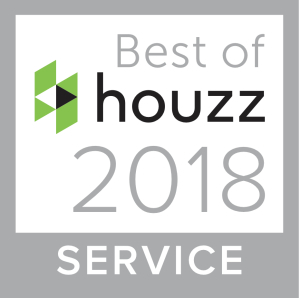 Our trained staff is here to help with any and all elements of your lighting project, and we’re dedicated to providing the best possible results. Providing a photo of the room you wish to work on can help greatly in giving our staff the information needed to offer a perfect solution. The world of modern lighting is one that is full of excitement and possibilities. Being able to beautifully light up your living space is and perfect your dream vision is why we are in this business. The Shelby Design Center aims to be your go-to lighting company in Shelby and beyond. By taking advantage of Lighting One’s co-op benefits, we’re able to provide a comprehensive inventory at affordable prices. Whether you’re hoping to update one room or transform your whole house, our lighting experts are ready to help. Contact us to learn more about our lighting showroom or come in today!